If it weren’t for Rep. Ed Markey (D., Mass.) the world would still be without smart phones, Facebook, Skype, and even Google. So says a recent ad released by his Senate campaign. Markey explains that before him, the Internet was nothing. "It’s hard to believe but twenty years ago almost no one had broadband," says Markey. "Facebook, Skype, Google … the stuff of science fiction." But then Ed Markey came around and opened the door for the Internet to flourish by fighting the telecom monopolies. Markey follows in the footsteps of Al Gore, who falsely claimed to have invented the Internet. Gore was at least inducted to the Internet Hall of Fame. Markey has yet to be nominated. The ad also features a glowing testimonial from a former staffer of Markey's, who also contributed to his current campaign. 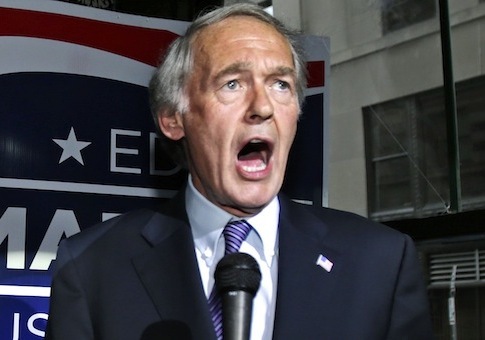 Markey is running against Republican Gabriel Gomez in the special election next month for the Massachusetts Senate seat vacated by Secretary of State John Kerry. This entry was posted in National Security and tagged Al Gore, Congress, Ed Markey, Gabriel Gomez, Internet. Bookmark the permalink.